We unveiled our two brand new show homes and sales centre at Maple Fields on 9th September and are delighted that these are now open daily from 10am to 5pm. The three-bedroom Woodston housetype and the four-bedroom Thornberry, offer purchasers the chance to fully appreciate the enviable lifestyle offered by a home at Maple Fields. The detached Thornberry benefits from a spacious hallway, which leads onto a living room and separate kitchen / dining room. The living room opens out onto the private garden via French doors. Upstairs are four generously sized bedrooms, including the en-suite master bedroom and a family bathroom. The Woodston benefits from an open plan kitchen / diner to the front, allowing for a spacious living room to the rear, with French doors opening onto the rear garden. The master en-suite bedroom and two further bedrooms are located on the first floor, in addition to a family bathroom. 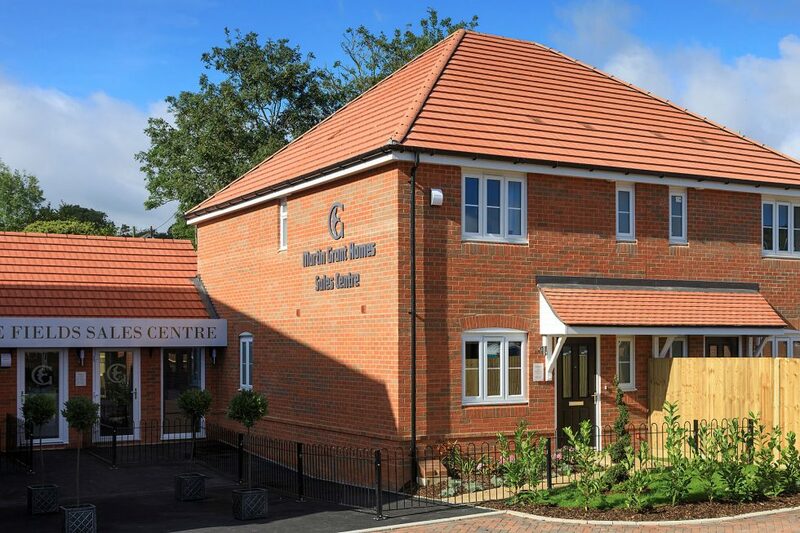 Both show homes include landscaped gardens and a private garage. The interior scheme is inspired by the idyllic rural surroundings of East Hampshire, with a leaf and floral motif repeated throughout the living spaces of both. Feature wallpaper walls add warmth to the rooms, with pastels tones used throughout.